Bike Rent & Biking Tours – Active Holiday Breaks in Slovenia! Bike rent & biking tours are the answer to having an active break during your relaxing holiday. 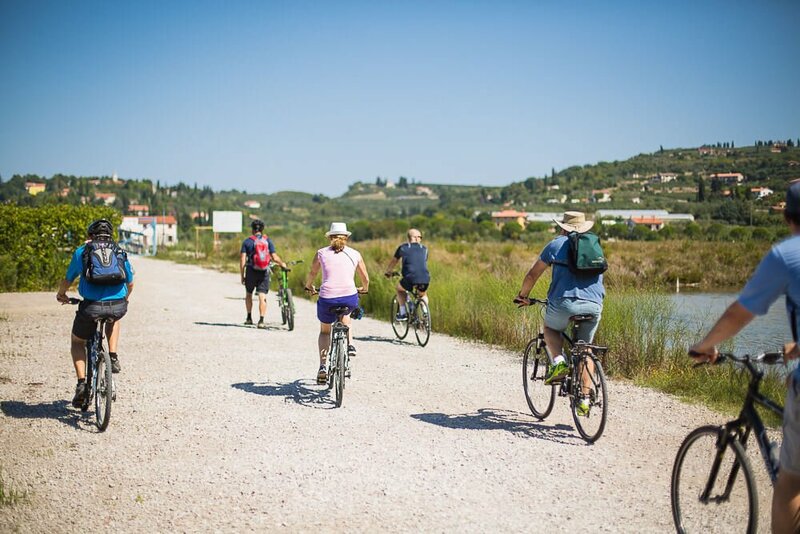 In Portoroz, at our office, you can either rent your bike for an independent discovery of the coastal area across many biking trails or book a well planned biking tour with KoperTours. Slovenian coast is perfect for a holiday break in which you can incorporate a day for a biking tour or decide to visit in order to explore for a few few days with diverse biking paths. With biking trails expanding all the way to the hilly countryside in the hinterland, the region is definitely suitable for diverse biking experiences. It is a melting pot of culinary, historical and natural heritage. In each tour we create, we love to transmit the heritage, that will make your experiences unique and diverse. We have prepared a selection of day biking tours, which can be found under our biking tours section. In order to confirm the booking please contact us as we need to check the availability prior confirming. Our team does not stop there. We can provide you the complete assistance when organizing a biking trip. Our staff will listen to your wishes, upon which we discuss the best options in the office and send you a proposal of the most suitable programs. Services we offer include overall planning of the itinerary with equipment & more. Bike rent delivery; we bring the bikes to your starting point. Professional guide who is knowledgable about the region. Back up support throughout the tour. Local tips in order to discover the hidden corners. We offer the possibility of a multi day biking packages in Portoroz. If you are a tour operator seeking an active program, where the guests embark on a biking holiday, we can provide up to a 7 day biking itinerary. Our package offers the accommodations, bike tour each day with diverse contents and lunch each day, optional sightseeing tours and transfers from/to airport. In order to send you the program, contact us and we will assist your request. The most popular biking tour is a 3 day Parenzana tour on your own. The starting point is the city of Trieste with one overnight in Slovenia and one in Croatia along the way. The end is at Porec or Parenzo in Croatia. Our team delivers the bike at your starting point, takes care of your accommodation bookings for two nights and transfers of the language from accommodation until the end destination. You are free to bike along the pathway and enjoy its landscape until you reach the accommodation for the day. We stay at disposal for further details.